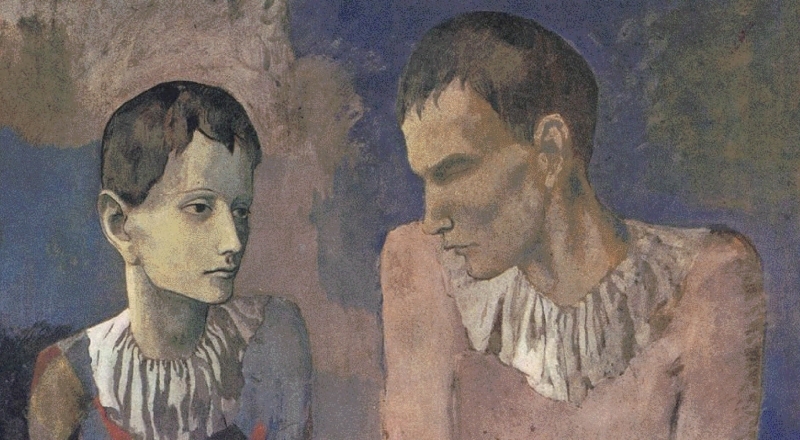 For the major exhibition «The Young Picasso – Blue and Rose Periods» at Fondation Beyeler, the FHNW Academy of Art and Design and Fondation Beyeler have, for the first time, realized a joint project. Inspired by Picasso’s paintings from the Blue and Rose periods, students of the Masterstudio Design were asked to develop product ideas for the gallery’s Picasso shop, a task they worked on for two semesters. In the context of the trainee programme Swiss Cultural Entrepreneurship, students were thus given the opportunity to go through the whole design process, from sketch to finished product, under real conditions. «RESONATE», Helena Tapajnova: The vase’s gentle hues reflect Picasso’s transition from his Blue to his Rose period. The object consists of two elements which, when filled with water and joined together, generate a performative moment, creating an optical illusion that also lends itself as a poetic interpretation of cubism. The glass is mouthblown and each vase is unique. «SOA.PP», Charleen Elberskirch: SOA.PP is a soap collection that reflects the atmosphere of selected works by Picasso. Each soap represents a specific painting by Picasso and is composed of five of its characteristic colours. Its fragrance conveys the respective work’s emotional message. Being handcrafted and owing to their marbled look, each soap is unique, representing an artwork in its own right that gradually dissolves through usage, from cubic to organic to a mere idea. The students first explored the formal, motivic, and conceptual characteristics of Picasso’s work during the Blue and Rose periods as a basis for reinterpreting them. Setting out from their sketches they went on to deal with aesthetic and functional concerns, find the right production partners, define target groups and price ranges, create designs for packaging, and select the appropriate modes of presentation and sale. In the process the students went through all the stages of product development, enabling them to gather vital experience with regard to design practice. «MIKASSO», Pablo Odriozola: MIKASSO is a re-interpretation of the famous Mikado game of skill. In this case the game is played with variedly coloured wooden sticks whose appearance is inspired by Picasso’s Blue and Rose periods as well as early cubism: angular wooden sticks encounter pink rounded ones, complemented by such featuring deconstructed shapes and colours. «YOU ME HE SHE IT», Marie Läuger: Picasso’s famous Breton striped sailor shirt served as inspiration for Marie Läuger’s kids’ T-shirt. The the twenty-one typical stripes are set in motion by a special repeat pattern. The seams at the sides have been shifted to the front and back centre of the shirt to reveal how a person working in clothes production has to work extra diligently so as to make patterns match perfectly. The T-shirts may look similar but eventually each item is unique. A jury selected the designs it believed were worth realizing. 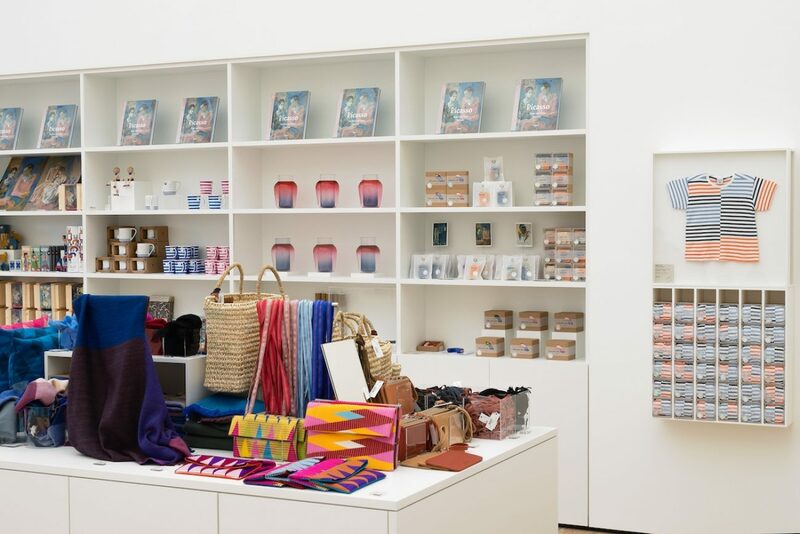 Since then, six different products have been produced and are now on sale at Fondation Beyeler’s Picasso shop, most of them handcrafted unique items. The product range comprises mouth-blown vases, golden handheld mirrors, coloured soaps and wax crayons, a special Mikado set, and T-shirts for kids – all come in a limited edition and a specially designed packaging. «Find your own stroke», Jennifer Keusgen: Find your own stroke is the name of a wax crayon that appeals to all senses. Inspired by Picasso, who himself questioned the prevailing modes of seeing of his time, the crayon’s form invites users to playfully rediscover the act of drawing and find their very own 'stroke'. The SRF programme «Kulturplatz» accompanied the production process and broadcasted a glance of the making-of for the opening of the exhibition. The TV report can be viewed here. As from March 2019 Interviews with the students and videos showing the production of the various items can be found on the respective social media channels of the FHNW Academy of Art and Design and Fondation Beyeler.